Lunch was at Shisen Haten, which hails from Japan and has 2 Michelin stars to its name in Singapore. 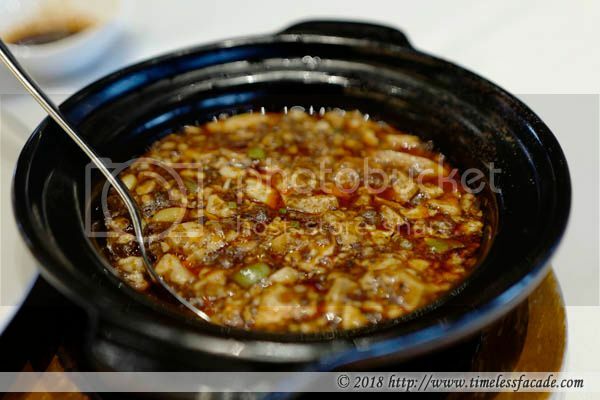 Having just dined at the 2 starred Tin Lung Heen just 2 weeks prior, comparisons were naturally inevitable. 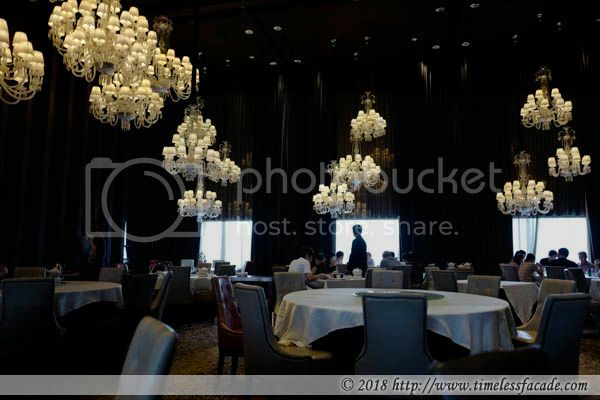 Situated on the 35th floor of Mandarin Orchard, the place reminded me of a posh wedding ball room with relatively high ceilings and overhanging chandeliers. Heavy drapes covered up more than half of the windows so natural light and views were at a premium. Not quite my style. This was just a fancier soon kueh with little bits of pork and without the bamboo shoots And it tasted like soon kueh, just alot saltier. The skin was respectable though; moist and a little elastic. 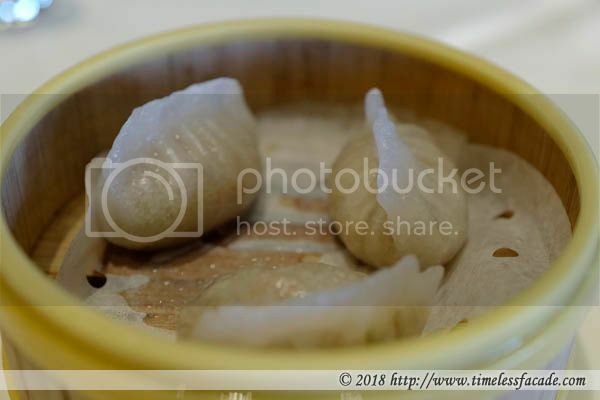 To be honest, we had high expectations of this and we were hopeful it would be on par with that of Tin Lung Heen's or at least Lung King Heen's. Sadly it was rather lacklustre. 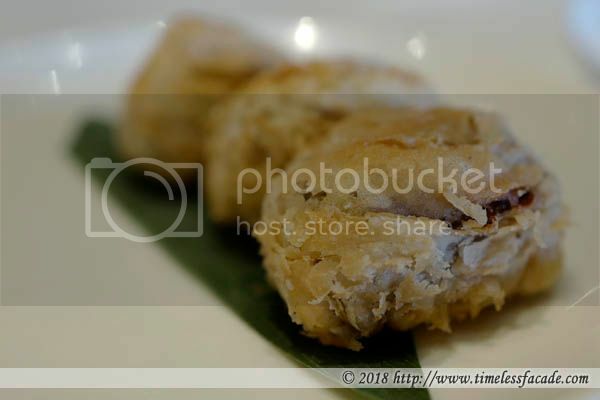 An abalone slice wrapped in a crispy puff pastry that yielded rather fishy notes on the first bite but was soon overwhelmed by the strong black pepper sauce. Definitely in a different league. We opted for the Crispy Roast Pork and Honey Glazed Barbequed Pork and both were pedestrain at best. The BBQ pork was rather thinly sliced and came across as too lean whilst the roasted pork, though sporting a crisp skin, was too porky for my liking. 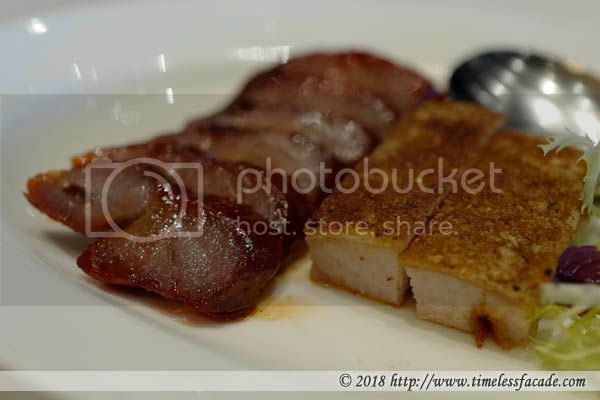 Nothing like the awesome roasted pork from Tin Lung Heen. 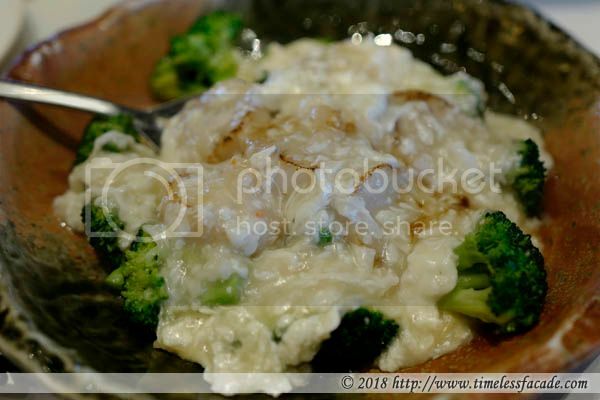 Thinly sliced (but not overcooked) scallop coupled with crab meat, egg white and broccoli - not overly starchy or heavy. Pretty decent though I would have prefered thicker chunks of scallop. One of the signatures and the one we were eagerly anticipating. I requested to turn the spice down a notch but it was still a tad too much for me to handle. But I liked it; very fragrant with a nice kick and without the gravy being too thick. Best eaten with a bowl of rice. This was the best dish of the day in my humble opinion. 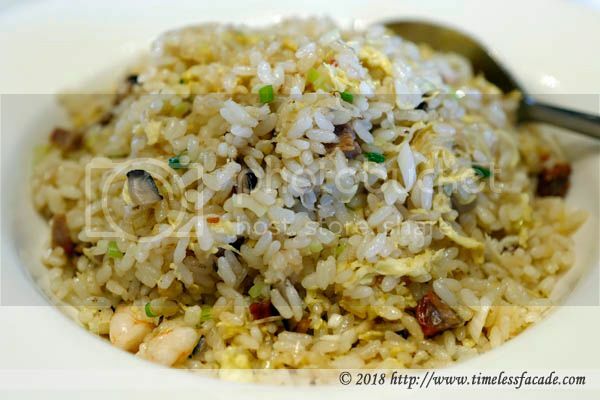 The rice was fragrant with a tinge of wok hei and didn't come across as overly oily. I'm not particularly big on empty carbohydrates but couldn't resist polishing off the whole plate. 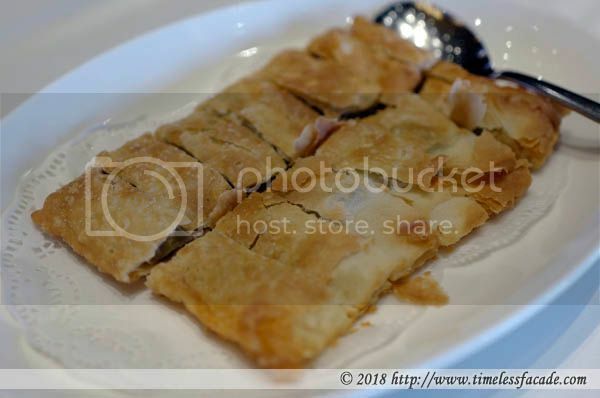 Flaky without the oozing oil syndrome and rather generous serving of red bean. Very decent. Our lunch came up to about $184, which was rather pricey for the quality of food. The place has 2 Michelin stars like Tin Lung Heen but food quality definitely is at a lower level. Service at Shisen Hanten also paled in comparison. Though polite, the wait staff lacked finesse and an eye for detail; our water wasn't topped up regularly and the distribution of plates/utensils came across as a little clunky. I dont know what i want eat first from Your photoes.